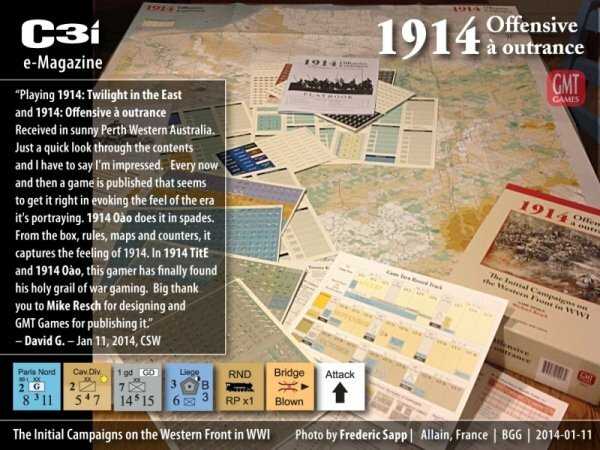 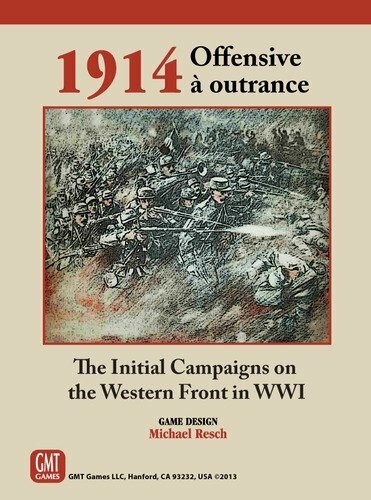 1914, Offensive à outrance is designed by Michael Resch, winner of the 2007 CSR Award for Best pre-WWII Board Game and Best Wargame Graphics for his design 1914, Twilight in the East (GMT 2007). 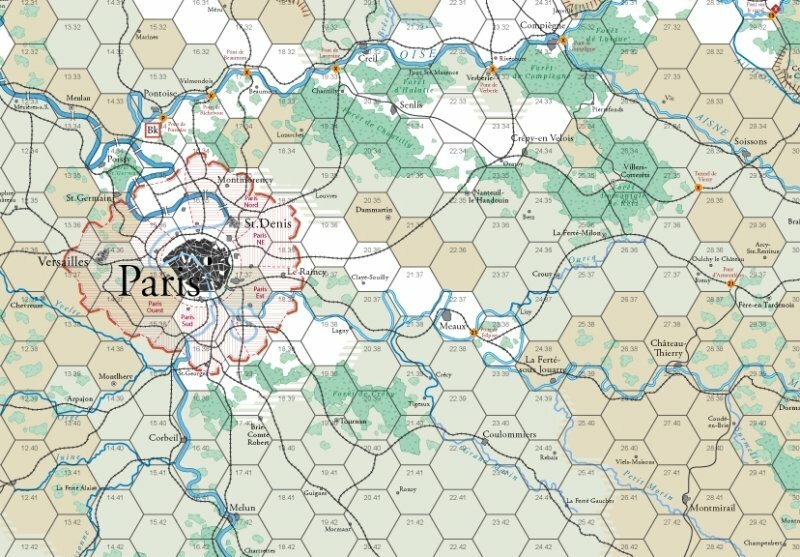 Time Scale: Game turns vary between two and four days in length. 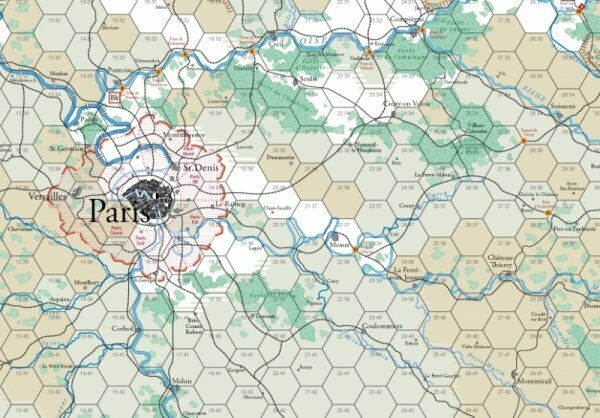 Map Scale: Eight kilometers per hex. Number of Players: one to many (well suited for four players).